I love traveling. I really do. Especially when it means sitting in an airport for 4 hours because your flight was delayed; missing your connection; and spending the night in Denver, a city you never has any intentions of visiting. With no bags. Oh, traveling, I love you. Luckily, Wichita airport offers free WiFi, so no one had to die last night. 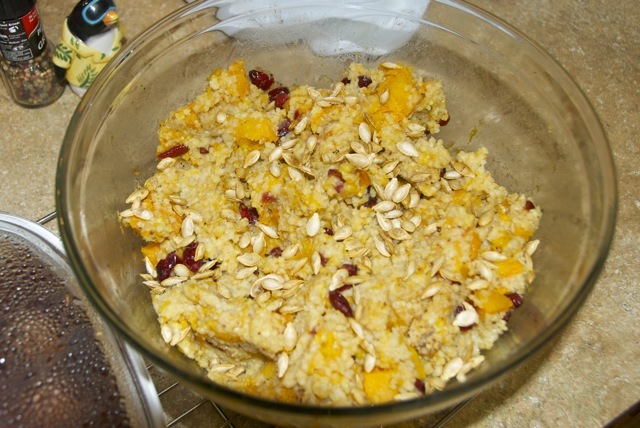 And it gave me some time to share a delicious Thanksgivingy recipe with you. Is Thanksgivingy a word? It is after you spend all the money you saved by flying out of Wichita, Kansas instead of OKC at the bar. Bad move. I’m sorry OKC, I shouldn’t have betrayed you. Anyways. I made this recipe this week for several reasons. First, it screamed fall and Thanksgiving to me. I had to take advantage now since the world is already forcing peppermint and eggnog on me, and it’s not even December 1st. Secondly, I am trying to use up all the food in my kitchen before I have to move. The only thing I had to buy for this recipe was the squash and the orange. 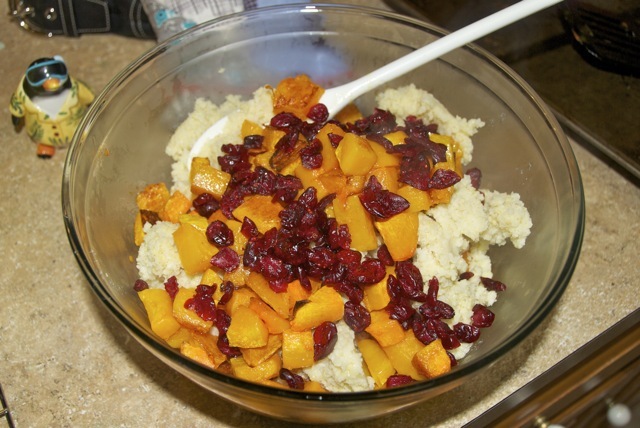 And I successfully used up the last of my millet, balsamic vinegar, and dried cranberries. Win! Preheat oven to 400 degrees. 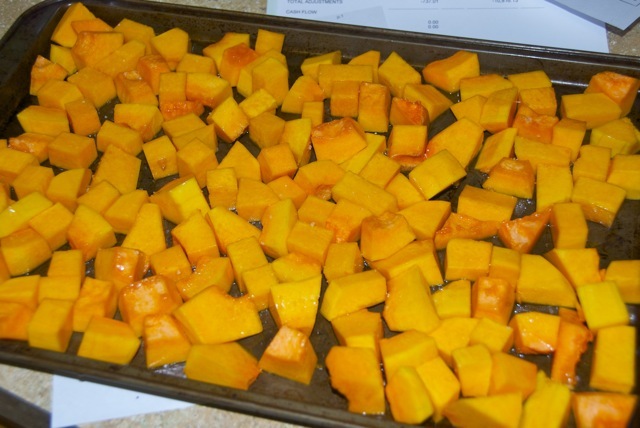 Toss squash in olive oil and salt and spread on a baking sheet. Bake about 45 minutes, until tender, tossing once halfway through. Meanwhile, bring millet and water to a boil, reduce heat and simmer, stirring occasionally, until water is absorbed, about 20 minutes. Let cool slightly. 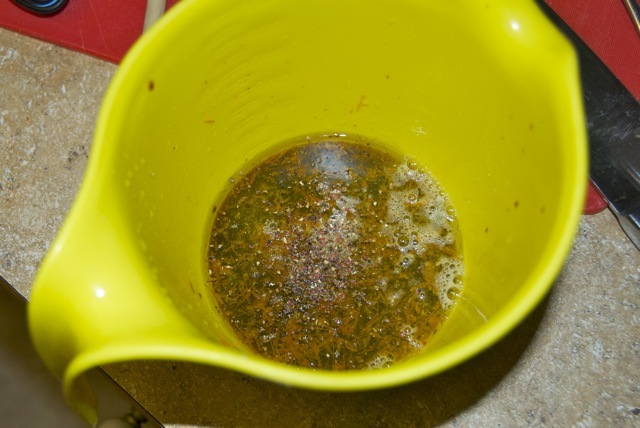 In a small mixing bowl, whisk together oil, maple syrup, vinegar, orange juice and zest, and mustard. 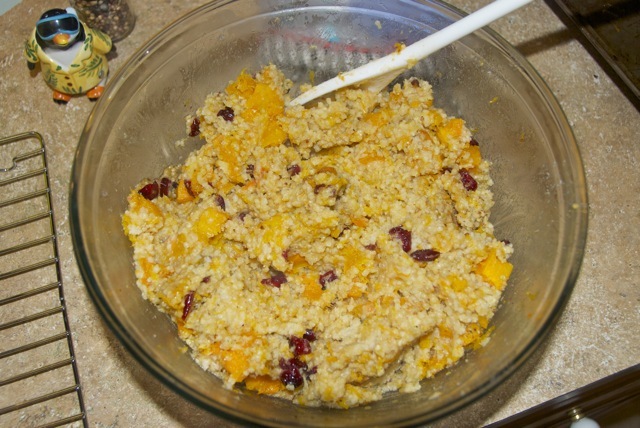 Toss squash, millet, and cranberries together with dressing. If desired, toast the seeds and top with the seeds for a little crunch. Less than a week until the big day… better get cookin’! Love your comment about the Denver Airport. My husband and I have also had that great honor of being delayed there over night due to missed connecting flights. We soooo loved the 30 minute shuttle ride to the nearest Marriott (or any other hotel) at midnight but Thank God we didn’t have to to stand in line with 30 other passengers also delayed because he was able to be first in line. (Have to love a runner). Then walking away from the counter with our $12 tiny toothbrushes because our luggage was actually able to get a flight out of Denver before we could. Then laying down… or should I say collapsing on the bed… after I reminded him that we could NOT sleep in our clothes….. for 3 hours before catching another 30 minute shuttle back to the airport at 4:30am to make sure that we were able to catch our 6am flight. So in closing, Denver is such a beautiful city to see…. I think. (Airport, shuttle, hotel, shuttle, Airport). Hahaha… funny, I was considering flying standby this weekend for a quick trip to Austin, but now that I am remembering this travel nightmare, I might be reconsidering!